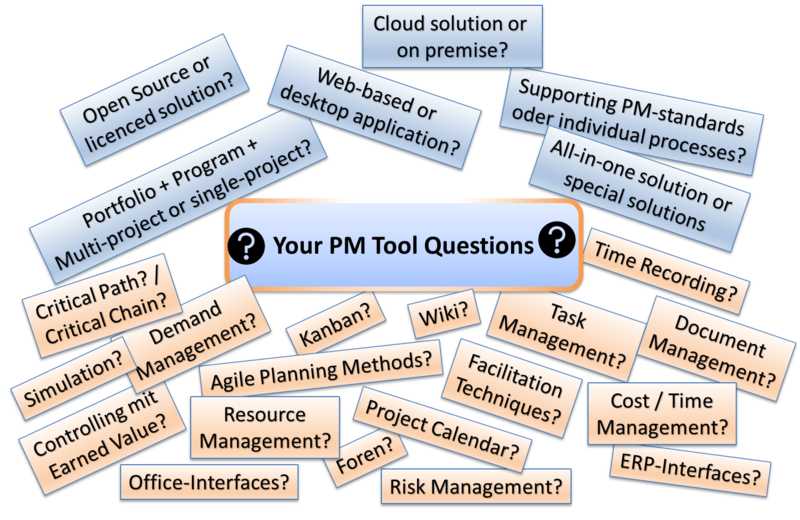 When managers and professionals devote time in establishing a project management organisation in their company one of the first issues is usually selection of a project management software and of a “tool-set” of planning and document templates. We have to convince them to postpone those issues and first set the fundament for a professional project organisation. In this context we are happy to offer you our Consulting, Training and Solution services. We see a project management solution as an integrated composition of tools that are tailored to organisation-specific projects and environment. A project management software is part of this solution but not the keystone which sets the pace for processes, methods and techniques. Rather the sofware must support project members in any phase of collaboration and ensure information and communication flow on any level. Are you familiar with the „jungle“ of project management solutions and able to choose the right offers fitting the best to your project organisation? Without thorough analysis and market research companies, administration and associations usually end up either at the market leaders or at cheap or open source vendors. Alternatively they bypass with Excel® & Co. Although project management is our passion we do not know any solution available on the market – at least we are able to analyze and assess jointly with you which tools will be useful in interaction with your process models and methods. In close cooperation with our customers we will arrange the best fitting and most pragmatical project management solution. We attend implementation and application in the first projects and provide recommendations for continuous improvement. Since we are not interested in selling or brokering licences or products we are able to consult neutrally and non-committed. The solutions that have been configured by ourselves base on open source concepts and software. During our consultancy we respect the organisation´s initial situation as well as the objectives of the ordering party in terms of procedural, methodical and technological project management organisation. Our search for a solution follows a scheme which proved successful in selecting software and other tools. Scope will be adapted to complexity of demands and of environment. 1. The common definition of objectives (e.g. organisational, technical, economical improvements) will be the basis for our mandate finding a solution. 2. 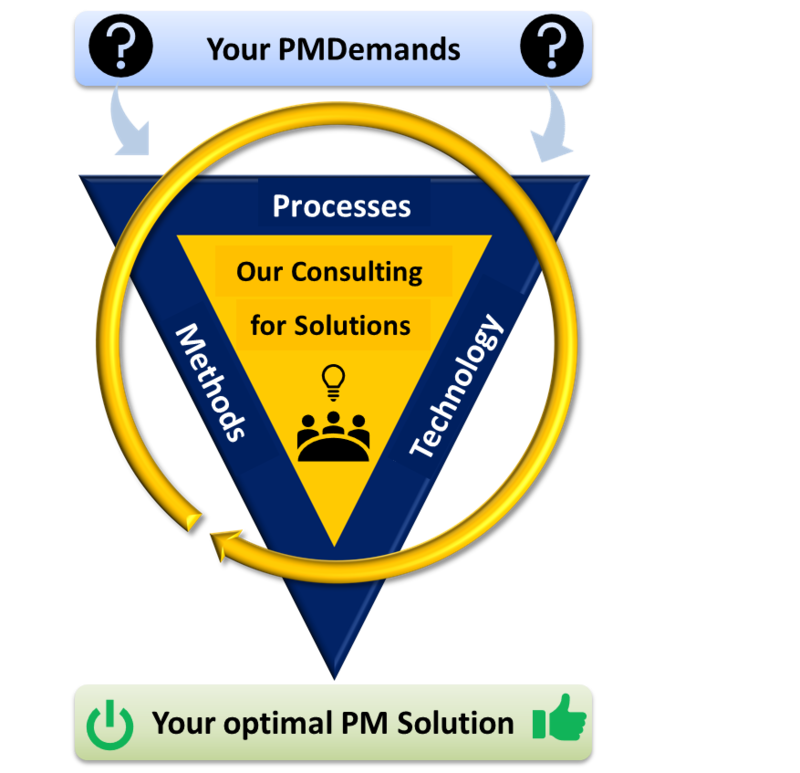 Analysis of relevant project management processes provides transparency and understanding of objectives, purpose and value of individual processes and their interdependencies. This is the more crucial the larger the organisation is. Furthermore tasks, responsibilities and authorities will be determined as well as assessment criteria for later evaluation. 3. 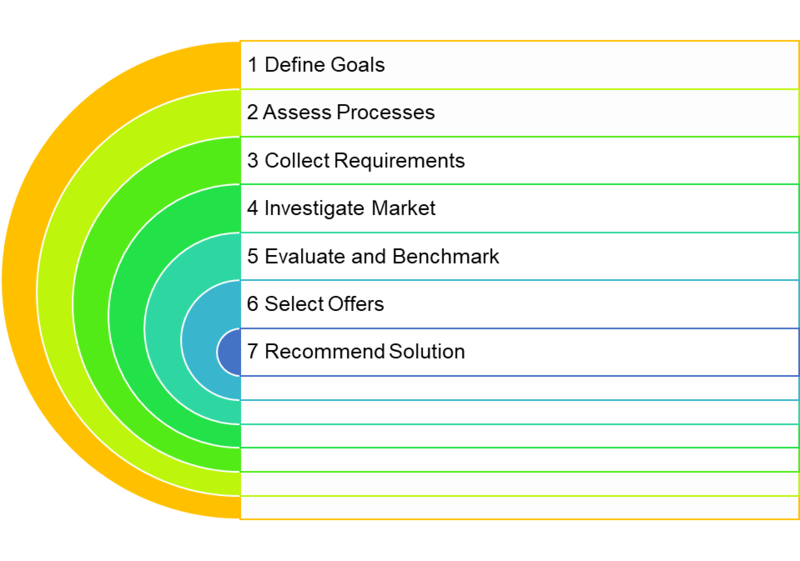 Collection of requirements, value driven assessment and prioritization are to raise awareness of a future project management solution. 4. In the course of a market investigation solution offers will be requested and screened. 5. Solution offers will be gradually condensed. By previously determined and weighted evaluation criteria (e.g. strategical aspects, processes & functionality, technology, total cost of ownership, commercial and legal aspects) solution offers will be rated by a „scoring-team“ and sorted out. 6. Remaining solution offers will be intensively screened, usually during a bidding presentation. Evaluations will be reviewed and re-assessed by the „scoring-team“. One up to three favourites will be left over and prepared for final recommendation to the decision board. 7. Our mandate ends with a recommendation which will be presented to decision makers. Based on the results of final selection negotiations will be initiated with the most suitable vendor. We will be pleased to attend contract negotiations and assignment, take care of implementation and provide recommendations for continuous improvement. Any solution will be treated individually by us – organisations, process assets, environmental factors and requirements are different and subject to frequent changes. Our solution principles are a thread for our customers as well as for ourselves. In our daily work we use it as a benchmark. 1. We consider solution requirements to be integrated: Strategy <> Processes <> Techniques <> Technology <> Tools. 2. Listen – understand – reflect – consult. 3. 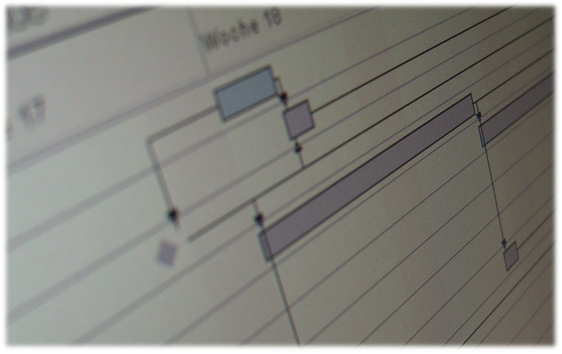 Selecting solutions systematically – in collaboration with our customers. 4. Keep it simple – as complex as necessary, as simple as possible. 5. The best solutions are generated by the combination of academical, practical, operational, social and emotional intelligence. 6. We are neutral and not committed to solution suppliers. 7. Experienced solutions – by continuous reflection and improvement. See our solution offers and learn how our customers succeeded in selecting and implementing suitable tools with our backstopping.